Those stories included the night that Boston Police Sgt. Brian Fleming recalled nearly took his own life. It was his first time the now-retired officer and peer support counselor talked about what happened. "I took a gun out, put it to my head," Fleming said. "I wanted to die." 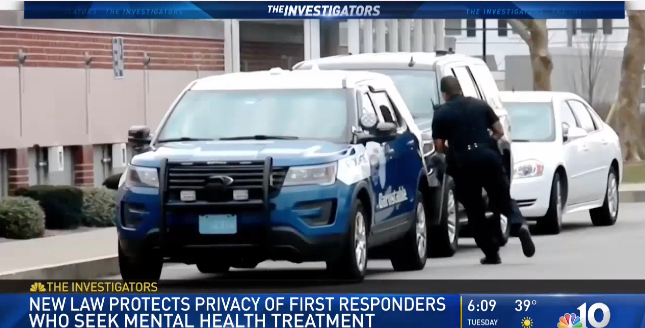 Massachusetts police officers and firefighters say a new bill signed into law Wednesday will allow them to ask for help and will save lives. Surrounded by first responders and lawmakers, Gov. 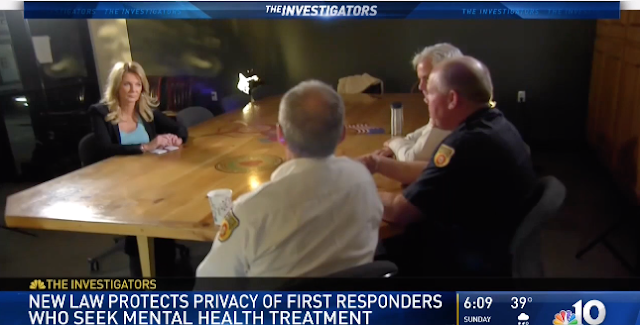 Charlie Baker signed the bill allowing first responders to seek guidance from their peers confidentially. They say that one-on-one conversation with someone who has also been through similar experiences will help them cope with the traumatic events experienced in the line of duty. They say they can now confide without fear the conversation will be used against them on the job. "Providing law enforcement officers with the ability to confidentially seek guidance from their peers will help them cope with the events they experience in the line of duty," said Baker. "We are thankful for the Legislature and law enforcement for their advocacy on this bill to increase support for services and reduce stigma around mental health issues. I am glad people saw it through and got it done."